The Facebook post was simple. It was a photo of a child on a beach, with the heading “Playing hooky,” posted by Prince William Today and InsideNoVa.com Editor Kari Pugh. The exchange above was in jest and they both knew it. Kari is almost always working online and knows her boss knows that and would see the post. Some downtime is always OK.
Social media is a reality of life. For many, it is how we relate to friends and family when geography and work schedules conspire to keep us apart. It is hard to avoid being on social media; peer pressure is intense if you are not. I’ve mentioned before that I have friends in Australia I’d have lost contact with years ago had it not been for social media. There are many friends from my Pennsylvania, Missouri and California days that I’d have lost touch with too. Social sites are a blessing. People do “friend” their employer, maybe from genuine feelings of friendship or maybe for work reasons. Some do it because they feel awkward refusing or they do it in the first honeymoon weeks of a job and then forget the boss is watching. Then there are those who complain about their jobs or a co-worker every once in a while? When you do it among close friends at a party, there’s no harm done and no real proof you did it. But, do it with the same friends online and there is proof. Screenshots can be your downfall. If your boss is a friend, the boss can see it and take offense. And even if the boss is not a friend, perhaps there is a co-worker competing for a promotion or attention with you who is a friend of the boss and can share the information. You need to understand all the ins and outs of those who see a post. It is tricky with Facebook. What you think is private to just you and your friends may also be seen by friends of friends. And you can purposely make Facebook posts public. I make public Facebook posts mentioning columns or my posts at my blog. It is too easy to forget to change the setting back to Friends afterwards so sometimes a private post is out there for everyone to see. Teachers have been fired for making inappropriate comments about students. Waitresses have lost jobs for complaining about poor tippers. Nurses have been fired for photos of hijinks in the slow hours in the middle of the night. It’s not just words that get you in trouble. Instagram, Snapchat, and Vine are social media sites that exchange photographs or short videos. Sure, forklift ballets are fun, but I’ll bet the CEO won’t be amused if a board member asks about them. Instagram is not the place to share unhealthy practices in the restaurant where you work or the insensitive things patrons write on the tip line of a receipt. We do have freedom of speech, but proving an employer exceeded the National Labor Relations Act standards when they take action that is risky, expensive and time consuming. The act states it “protects the rights of employees to act together to address conditions at work, with or without a union.” This protection extends to certain work-related conversations conducted on social media, such as Facebook and Twitter. It is probably better to be prudent then to hope for labor laws protection. Besides, even when you prevail with the federal labor laws, you still have the reputation with your employer, co-workers and the public. Better to limit your complaining to your spouse or friends in person. Assume too that whatever site you interact with might be hacked. The hacker might be determined to see your derogatory comments about your employer reach your boss. Or, maybe they will try to blackmail you and demand payment to keep your comments private. I worry too that some future social media site will come along and everyone will flee as users once did from MySpace to Facebook. As an old site goes into bankruptcy, the data becomes an asset to be sold. The data will only be valid for a few years, but it will give employers an insight into the interests, attitudes and concerns the employee had in the past few years. It’s these fears that make me limit my posts to only anything I would say in public and be okay if my wife, son, mother, employer or anyone else would read them. Links to Friending your boss, just one pitfall of social media. This column will appear online Saturday, August 29, 2015 at 9 AM EST. It is available before in the August 28th issue of Prince William Today on sale at these retailers beginning this Thursday, August 28th in the afternoon. Is someone in your family comfortable with computers, but maybe not quite right for college? Or do they worry a four-year degree is more likely to put them into debt than into a job? Do you have a college-bound high schooler who could use a shot in the arm confidence wise, and maybe an achievable goal that might help them get a good part-time job in college? Are you wishing you had a job working with computers; a burgeoning field? Or, are you knowledgeable about computers but do not have anything in your record proving what you know? Comptia is an Information Technology industry trade association. It offers a variety of computer-knowledge certifications such as the basic A+, Network+ and Security+. Many starter jobs in IT, such as help desk, repair technician, or printer technician, require a Comptia A+ Certification. To obtain one of these certifications requires a test taken at a Pearson Testing Center. There are many paths to the first A+ certification. You can begin by going to Comptia’s site and seeing the objectives that are used for the two A+ required tests, the 801 and 802 tests. There are a variety of ways to learn the material needed to pass the tests. Some are even free. There are traditional courses you can take at Northern Virginia Community College to help you prepare. It also has an entire program to help you get ready for an entry-level IT job with its Technology Retraining Internship Program (TRIP). This program not only offers coursework and its own certification, but also provides an opportunity for an internship that will impress hiring managers. There are grants and other financial assistance available to help with the TRIP program. For those without the time, or perhaps money, for in-class training, there is a well-regarded set of videos on Youtube to teach you A+, Network+, Security+ and others. Professor Messer videos are absolutely free to watch. He makes his money by selling quizzes, study guides, books and the like. People have successfully passed their A+ tests solely by watching the videos and using other free online materials, although spending a little money on practice tests or study guides is often prudent. Messer also offers study groups where he asks viewers questions and they can call in to discuss. His website’s forums also offer ways for people to discuss the certifications, ask questions, learn together, and get overall support as they go through the process. Popular websites like Reddit.com have places too where people to ask questions. I attended TRIP classes – a regular A+ course at NVCC – and in my final two-week push, used Comptia’s CertMaster program. CertMaster is a subscription service where it asks a question from the A+ objectives. You can answer it, say you do not know, or choose two answers. If you are wrong, or choose two answers, it presents information about the topic and then goes on to the next question. It requires you to answer each question correctly twice before you can finish a module. There are separate subscriptions for 801 and 802, and then each additional certification. I found the drill useful. I passed my two tests on the same day just two days after completing CertMaster. The tests are not simply multiple choice questions; although that is the bulk of each test. There are also simulations where you might be asked to format a drive, or do other real world tasks in a simulated computer environment. Watching the videos and doing Certmaster will not be enough to pass. You will need some real world, hands-on time with a PC. You’ll need to know some common command line tasks like formatting a drive, partitioning a new drive, copying files and navigating around the directory tree. The videos will cover a lot of that but to set it into your brain you need to do actually do these things. Messer has a video on setting up VirtualBox so you practice in a virtual computer and not risk screwing up your actual computer. One thing my NVCC class had us do was to take an ancient, but working desktop and take it apart. We dismantled it completely; removing the CPU and memory from the motherboard, removing the various cards. Finally we removed the motherboard, power supply and fan from the case. And then, we put it back together and made sure it worked. I could even point to one simulation I got right because of my experience building a gaming PC last spring with my son. On another topic, there has been a lot of press about Windows 10 giving away your personal information. The reality is Microsoft is using your information to sync your various Windows 10 devices and allow Cortana to better serve you. What Microsoft is doing is little different from what Google does for Google Now. I wrote about that in April, and that column is at FamilyTechOnline.com this week. You can always opt out of sharing this information. Details are also at FamilyTechOnline.com. This is that column, from April 10, 2014. You can pretty much replace Google here with Microsoft, and Google Now with Cortana, and the thinking is the same. While I warn against too much sharing online, such as inappropriate photos, I actually believe a certain amount of sharing of your personal information reaps benefits for yourself, and for society. I share a great deal through my primary email provider, Google. I track my appointments in Google Calendar and list my to-do items in Google Keep. I write these columns in Google Drive. If someone calls the number I give out as my cell number, they are actually calling my Google Voice account. My phone is an Google Android phone and it is tied to my Google account. When I send or receive a text, I use the Google app Hangouts. When I take a photo, it is backed up to Google. I search using Google Search from my Google Chrome browser. Clearly, if I was a terrorist or a criminal, all this sharing would be my downfall. From what Edward Snowden has leaked, the NSA is capable of digitally listening in on all the information I send to Google, or anyone else for that matter. Instead, I reap lots of benefits. The scripts that read my email determines which are Spam emails and keep them out of my inbox. Google Voice can screen my calls for me, and sends me transcriptions of voice mails. If I mark a number as undesirable, I never receive a call from that number again. On Android phones, Google Now is a page that tells me things Google thinks I need to know. Beyond the weather, and how stocks are doing, if it notices in my email that I have a flight reservation, it lets me know if the flight is on time. While on the trip, Google Now tells me the time locally and at home and the weather in both places. When I am anywhere new, Google Now uses the phone’s location to give me suggested places nearby which I might find interesting. Remember Microsoft ads about being scroogled? The campaign demonized Google for reading emails in order to target ads to us. If we enjoy a free service like I do Google services, I expect to receive ads. If I have to see an ad, I would rather see an ad relevant to my needs and interests than an ad with nothing to do with my life. And it is not as if someone at Google is reading my email. All the parsing of my information is done by scripts. We tell Facebook our real name, and the names of our friends. In return, it sends us targeted ads, but also let us socialize easily with friends. Over a billion users have decided that is a fair tradeoff. Unless you pay cash for your prescriptions, your pharmacy knows you by the drugs you take. In return, my pharmacy emails me when I should renew, and again when my prescription is ready. I can scan a pill bottle with my phone to reorder. Even those zealous about not sharing information have more out there than they know. Unless they want to forgo all grocery store discounts, they have loyalty accounts. That lets stores know exactly how many Twinkies and six packs of beer they have bought. I haven’t even touched on how much the government knows about us from calls to or from our landlines, or when our license plates are scanned, or our EZ Pass machines are pinged. I am in the camp that believes we cannot avoid leaving digital tracks as we move through life, so we might as well reap the benefits we can. And the benefits are not only for us individually, but for the society as a whole. Google has a page where it tracks the spread of flu across the country. By watching as people search for terms about the flu, and knowing where they live, they can provide this information. Google Trends reports on what people are searching online. I hope the Centers for Disease Control watches the page for people searching for unusual symptoms so they can track the outbreak of a disease before it becomes too widespread. This column will appear online Saturday, August 15, 2015 at 9 AM EST. It is available before in the August 14th issue of Prince William Today on sale at these retailers beginning this Thursday, August 13th in the afternoon. We’ve heard about the hacking of the U.S. Office of Personnel Management, Anthem, Target and many others. They are not the only targets. We’ve heard of malware for so long and have grown weary of it but it has real potential to harm our PCs and our lives. We need to understand the various kinds and what we can do to prevent infestations. A virus is a piece of computer code which, once it is on your PC, can do nasty things such as delete data, encrypt your hard drive and run multiple copies of itself, thus slowing down your computer. It might show ads on your screen, or unbeknownst to you, remove ads on webpages and replace them with ads which they have sold. This removes income from sites you value and diminishes the websites’ motivation to continue to provide the content. Like a living virus, it can replicate itself and attach itself to other files, thus infecting them. A worm, on the other hand, is another piece of code that does not have to wait for you to send someone a file with a virus. Instead, a worm can find its own way out of one computer and into another. Once on a system, a worm may do nothing specifically harmful, although the effort of moving itself to another system can eat up CPU time and flood computer networks with traffic as the worm multiples and moves around looking for a system to infect. A worm can be built to do nothing specifically harmful. In 1988, the Morris virus simply traveled around the internet, but it infected 10 percent of the computers connected to the net and slowed down worldwide traffic. Or a worm can take command of the PC and make that PC act as a slave to a master system. Many spam emails are generated from these enslaved PCs. Yours could be one and you wouldn’t know. Your computer would continue to work the same, although perhaps a bit slower. These are the botnets we hear about. A rootkit is an especially loathsome piece of code in that it gains the most powerful control over a PC. It can hide processes from other programs so that it can thwart the efforts of anti-virus and other programs that seek out malware and remove it. Once hidden on your PC, it can do significant damage. Spyware software, once on your system, can record keystrokes, take snapshots of your screen, even turn on your camera and microphone so that it can hear and see what is going on around your computer. It can then send that information off to another system. It also can send its creators your bank account numbers, passwords, emails, including sensitive business emails. And, it can send the contents of your contact list. How does this malware reach your system? A virus or worm can be an attachment on an email you open. These emails can be clever. They can appear to be from your bank and say the attached document is your statement. It can be from a store and the attachment is supposedly a coupon. The number one thing you can do to safeguard yourself is to not open attachments from anyone you do not know and be skeptical of all attachments you receive. The bad guys have gotten good at creating emails that appear to be from your friends. They may have already infected your friends and have gotten your contact information from those compromised PCs. They attach malware to those emails generated to appear to be from your friend. A worm can come crawling into your system via defects in network code and other software vulnerabilities. You might obtain a piece of software to something useful, but it also unleashes viruses and worms onto your system. These are called Trojan Horses because while you think you are receiving something nice, you are instead getting something bad. There are things you must do to protect yourself. Have an up-to-date antivirus program watching your system. Have it automatically download new virus definitions and do a full scan at least once a week. Leave your computer on so it can do this in the middle of the night. Computers themselves do not take up much power. The screens can be shut down separately on a desktop. On a laptop, you can set the power settings so the monitor powers down after a specified period of time but leaves the computer running. Firewalls are either hardware or software than can prevent worms and other malware from coming from the internet onto your home network and into your computers. A hardware firewall is often part of the router provided by your broadband internet provider. Check your router’s setting to make sure the firewall is turned on. Your broadband provider may offer antivirus and firewall applications. Check out their sites for details. What to do if your think you have been infected is a topic for a future column. This column will appear online Saturday, August 8, 2015 at 9 AM EST. It is available before in the August 7 issue of Prince William Today on sale at these retailers beginning this Thursday, August 6th in the afternoon. Windows 10 is here, arriving a couple days ago on Wednesday. When Windows 8 appeared, the world seemed to ask. “Do I want to upgrade to 8?” And in fact, many users did not do it, instead staying with Windows 7. For those who have read about Windows 10 and downloaded the trial version, most are eager to make the move. There are many good things about 10. First of all, if you are a home user of Windows 7, 8, or 8.1, then Windows 10 is free. That is always nice. I wrote about the new features of 10 in June. 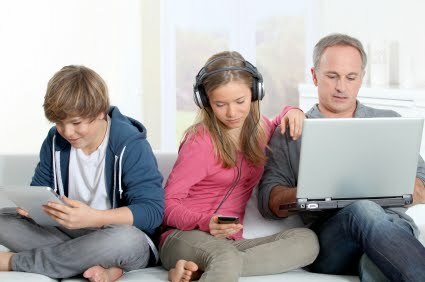 Check FamilyTechOnline.com to read it again. What I did not stress enough then however is that Windows 10 is a new concept for Windows Operating Systems. It is no longer an application you purchase. It is now a service. That means once you download it, it automatically updates itself whenever Microsoft makes an improvement, adds features or patches a bug. The changes download and install on their own. Many of the security problems on home PCs are from users not keeping their PCs updated. It does not do us any good for Microsoft to fix a bug in Windows that exposes our data to the outside world, if we do not apply those patches to our installations of Windows. Windows 10 takes care of that for us. And it should mean an end to installing a new Windows every few years. Some say Windows 10 will be the last version of Windows because it will constantly be enhanced. We’ll see how that actually goes, but it should simplify things for users over the next several years. Windows 10 won’t so much be upgraded, as it will evolve over time. This is not the first operating system to be delivered as a service. Devices running Google’s Chrome OS have always updated the OS silently and behind the scene, essentially invisibly, for the user. The concept works well, and I am excited to see how that will work for Windows. Its Office 365 works on that concept, but costs an annual subscription. While Windows is free for now, it may one day be an annual subscription, but if it means a constant stream of security updates and new features – that is a good thing. The big advantage of Windows 10 is that if you are comfortable with Windows 7 or 8, you’ll be just fine with Windows 10. There will not be an appreciative learning curve. You can be up and running quickly. If you are running XP, your computer was made between seven and 14 years ago. It is time for a new PC. New ones will likely come with Windows 10 already installed. Since I wrote about Windows 10 in June, more features have been added or announced. The gamers in the family will love the new Windows. It is tied closer to the Xbox network for a more unified gaming experience. It will allow streaming games, live recordings of gameplay and more. The DirectX 12 capabilities will make Windows 10 faster for games. Unless you have a serious gamer in your home, you may not realize the absolutely spectacular graphics some games now use. Gamers can play mind-blowing games and play with other gamers from around the world, all by the games being networked over the internet. While performance of high-end PCs has been good so far, Windows 10’s inclusion of DirectX 12 will enhance the graphics capabilities even more. An advantage for developers is the ability to create universal apps that will run on Windows 10 whether running on a PC, laptop, tablet, or Window Phone. Developers of apps for the iPhone and Android devices can adapt their apps to run on Windows 10. That should mean a greater variety of apps and capabilities for users. For weeks now, you may have seen notifications on your Window 7 or 8 machines to reserve your copy of Windows 10. If you did reserve a copy, then sometime on or after July 29, Microsoft will send Windows 10 to your PC in the background. When the entire installation setup has finished downloading, you will be prompted to install. The installation will be an upgrade to your existing setup. You won’t lose your data and should not have to reinstall your applications. There has been a massive public testing effort for months now, so Windows 10 should be safe to install as soon as you get it but there is no hurry. Free users have up to a year to do the upgrade. I’m going to upgrade my laptop as soon as I can. I’ll upgrade others in the house afterwards. A stepped rollout is prudent. Check FamilyTechOnline.com for those details that will only became apparent on the July 29. Remember, there is absolutely no hurry to install.